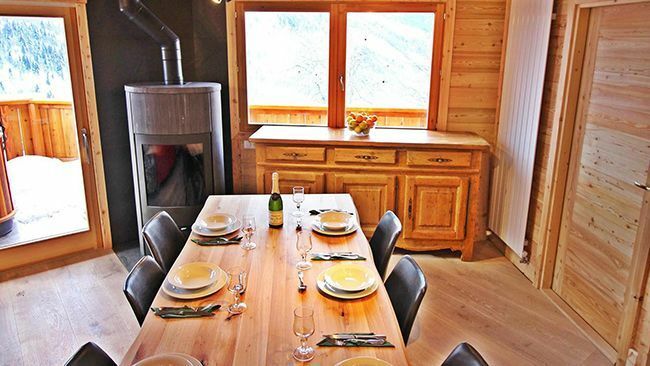 Chalet Aline is situated in a wonderfully quiet location overlooking the valley, close to the superb skiing and busy town of Meribel. The ski bus stop is just 400 metres from the chalet or expert skiers can make their way just 30 metres from the property on a un-pisted run. 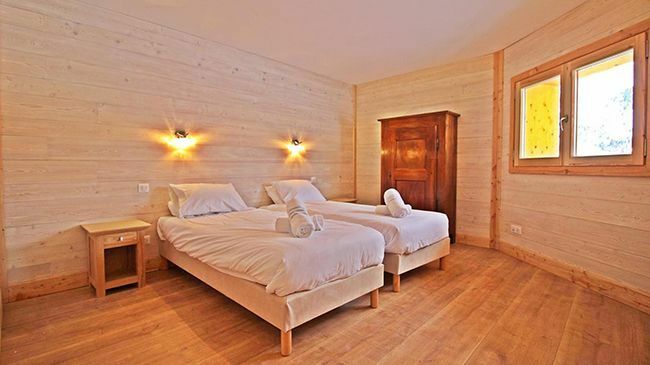 Chalet Aline is a charming, traditional property with a stone and timber facade, fitting in perfectly with the pretty resort of Meribel. There is a fantastic hot tub boasting incredible views of the snowy mountain peaks, the perfect place to relax ski legs after a tiring day on the slopes. The light and airy living and dining area is a great place to socialise with friends and family during the evenings. 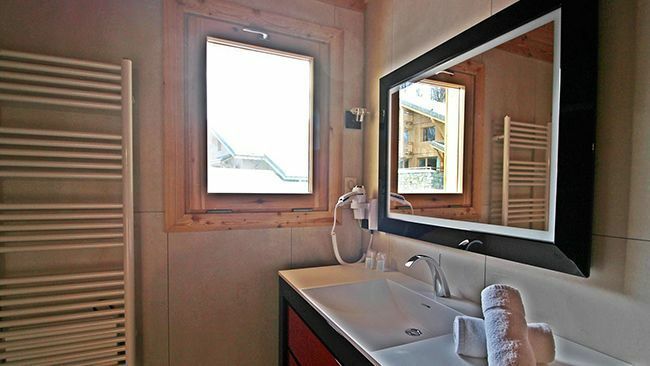 The spacious chalet sleeps a total of ten people and all bedrooms come with fantastic en-suite facilities. 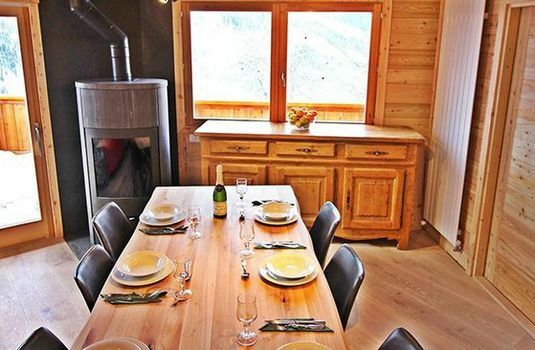 This chalet is a great choice for groups of family and friends looking to enjoy all the world-class Trois Vallèes ski area has to offer. 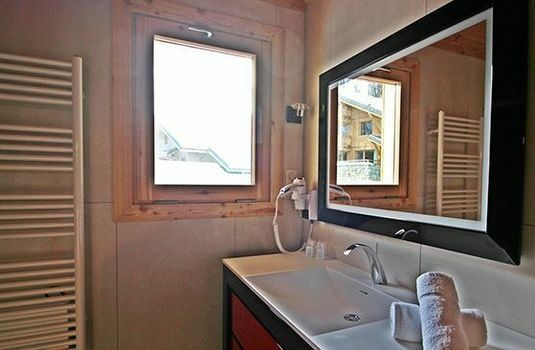 This chalet is fully catered five nights of the week. Price based on per person rate with 2 sharing a standard room. Please call us with your requirements for exact pricing and departures from other airports. 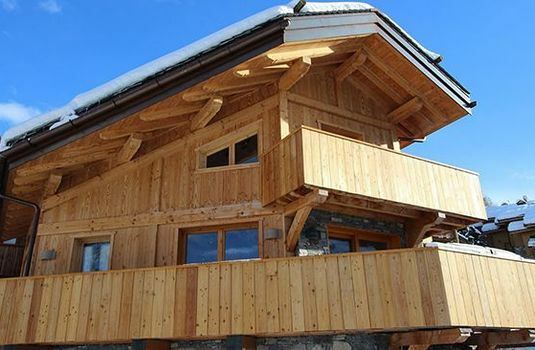 Meribel is an attractive chalet-style purpose-built ski resort situated right at the heart of the world’s largest ski area. Meribel is the middle resort of the major three resorts (Meribel, Courchevel and Val Thorens) that make up the massive Trois Vallées ski area. The combination of great skiing, a top location and the pretty chalet village makes Meribel one of the most popular destinations for British holiday-makers. The best thing about Meribel is its location. 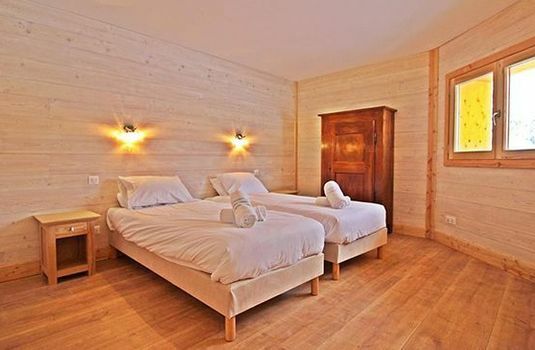 Right in the middle of the Three Valleys, which has a massive 600km of skiable terrain, it is arguably the best place to stay if you want to experience the whole area effortlessly. 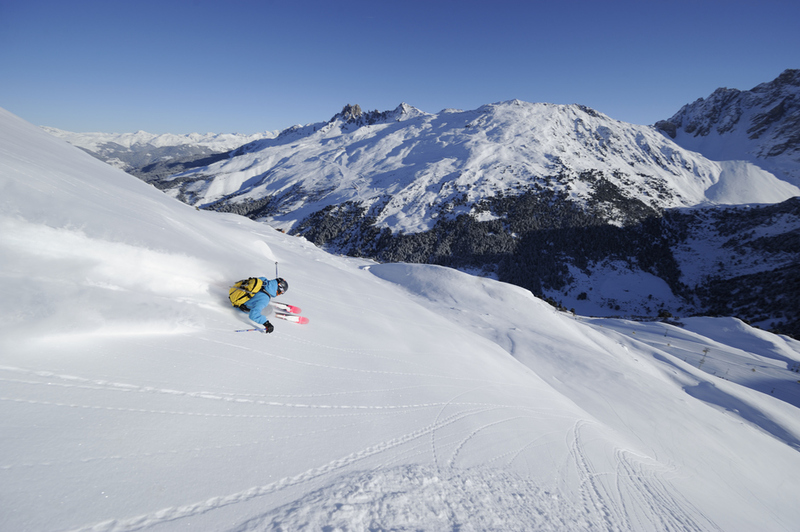 The local skiing in Meribel is varied with some long cruisy blues, as well as some more challenging slopes, such as the Mont Vallon runs and some good off-piste when there is enough snow. The ski lifts in the Three Valleys are all very fast and efficient, such as the Saulire Express Gondola, which takes people from the bottom of Meribel to the Saulire Peak (2700m) and the slopes of Courchevel in just 12 minutes. Getting to Val Thoren takes a bit longer, but is still relatively easy to do. As the region is so popular, big queues can often form at the resort-connecting lifts, especially at the beginning and ending of the ski day and at peak times in the season such as half-term. Depending on how you classify things, it comprises five different settlements. The first and lowest is Brides-les-Bains which lies at an altitude of just 650m. It is linked to Meribel by a three-stage telecabine but the days when you can return to Brides-les-Bains on skis are very limited. Next comes Les Allues, a sleepy old Savoyarde village with one modest hotel and a handful of privately run catered chalets. A little further up the hill lies Meribel-Village (1,340m), which has grown in size thanks to the ‘Les Fermes de Meribel-Village’ development of chalet-style apartment blocks. Nowadays Meribel-Village easily links into the main Meribel ski area via a four-seater chairlift. 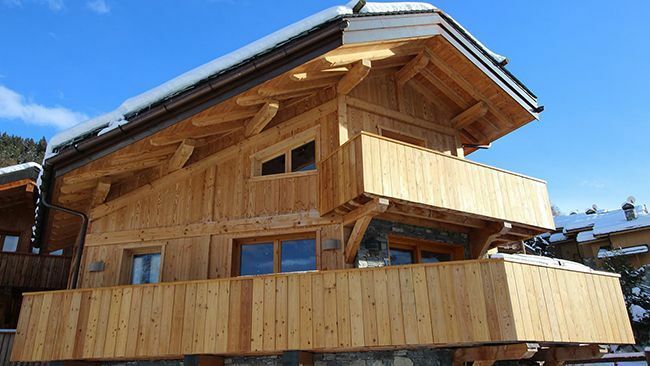 The principal Meribel settlement is simply called Meribel and sprawls up a west-facing hillside from 1,400m to 1,750m. This is the place that most people think of when they talk about Meribel ski holidays and it is arguably the prettiest post-war purpose-built resort in Europe, largely thanks to its Scottish founder, Colonel Peter Lindsay. 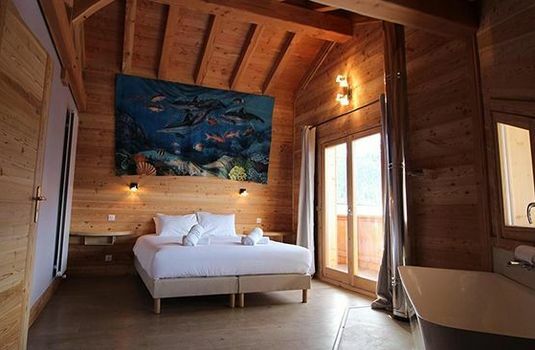 While other new French resorts were being built in rather unattractive raw concrete, Meribel began as a collection of wooden chalets and the new properties are still built in this style today. Lastly there is Meribel-Motterat which is higher up the valley and has more ski in/ski out access to the slopes and is particularly good for beginners. Much of the accommodation in Meribel is not ski in/ski out so you have to use the free public bus or often with catered chalets there is a driver service to take you to and from the Chaudanne (where the main lifts are). If you want to explore the town it is easily accessed by walking or by bus once skis and boots have been removed. Meribel has a very lively nightlife, multiple clubs and bars stay open late and if you are in the main Meribel resort it is not far to walk in. 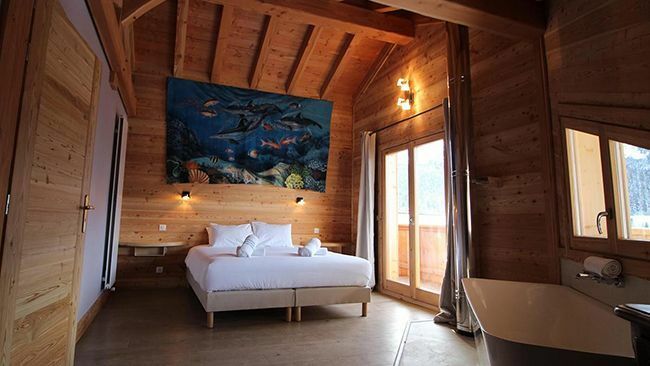 If you are a bit further out you might prefer a more relaxing night in, making your own entertainment in your chalet. The ultimate collection of European Cycling Holidays. BSpoke's cycling experts can tailor-make your perfect holiday where you can travel at your own pace or in a group of like-minded individuals. A BSpoke Tour is all about being as restful or as adventurous as you desire. Cycling for Softies is a luxury cycling tour operator providing gourmet cycling adventures in France and Italy. These are leisurely cycling tours winding through vineyards and staying in high end accommodation where the emphasis is as much on the food and wine as the cycling. Welcome to life in the easy lane. Wilderness Scotland offers an inspiring range of guided and customised adventure holidays, in the most remote and beautiful regions of Scotland. The Wilderness Scotland team know how to create enriching adventure holidays and know the wild places of Scotland better than anyone. Specialists in offering a range of adventure holidays, tours and incredible wilderness experiences. Wilderness Ireland take their clients to the most remote and beautiful regions of Ireland, all while staying at the most welcoming accommodations and delivering outstanding customer service. 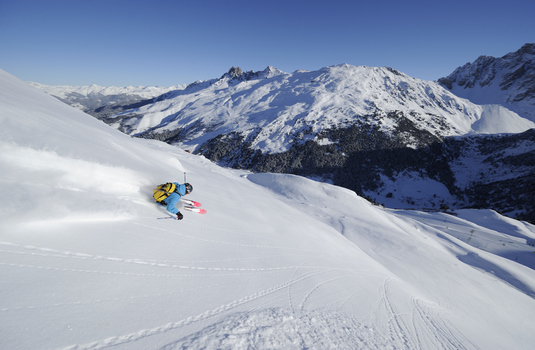 Ski Solutions is brought to you by the Active Travel Group, specialising in tailor-made human powered holidays across the globe. Sign up to receive exclusive offers, expert advice, snow reports and insider access to all the latest ski news.